Use doublesided thinning scissors when you want delicate and light thinning to shape the baby's hair style and give it body. 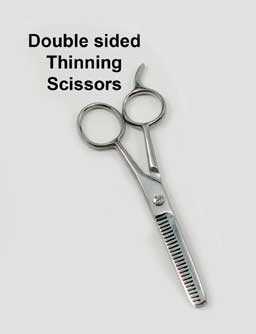 Doublesided thinning shears have teeth on only one blade rather than two. Different kinds of barber scissors give you different kinds of cuts. Make your babies look more real by using the right scissors for the job.